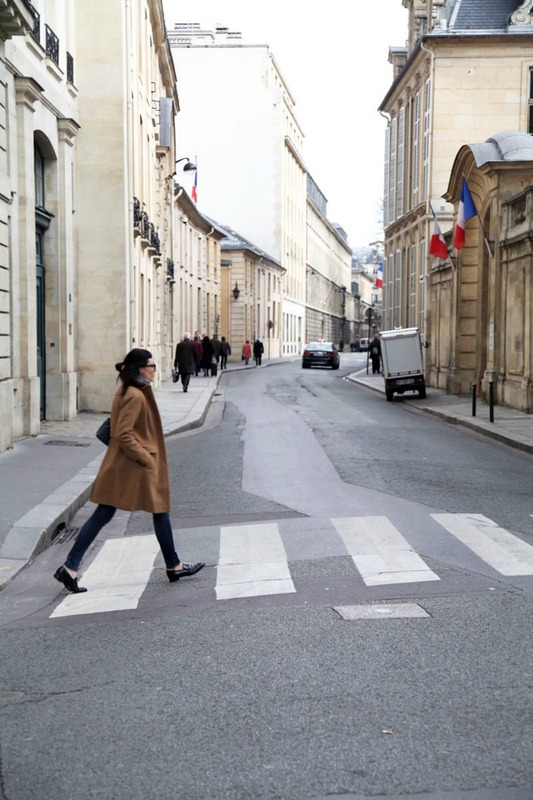 There are a lot of negatives that come from social media, but navigating a city via Instagram is not one of them. 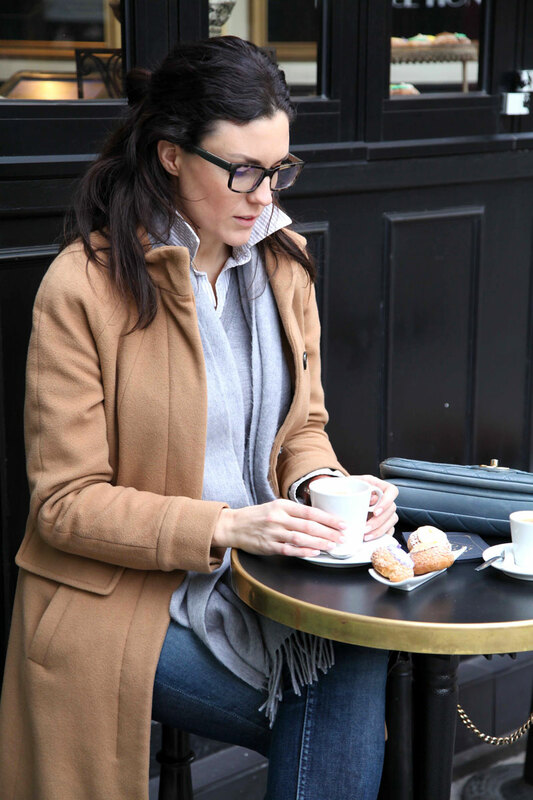 Whether it's a place we're visiting, or just where we live, Mr.RC and I frequently check Instagram to find "a good spot for coffee" or check out "the latest brunch spot". We relied heavily on this method on both of our last trips to Europe and I have to say, we were not disappointed. Not only did we discover incredible food and spots to "get the perfect shot", we also met locals that we otherwise never would have (i.e. Mr.RC had connected with a designer on Instagram back in October and they had stayed in touch since. While we were in Paris, he invited us to stop by his store, where we ended up talking to him for a couple of hours. At the end of the week, we met up with him again and he took us around to spots in Paris we otherwise wouldn't have discovered, but ended up being some of my favorites from the trip.). 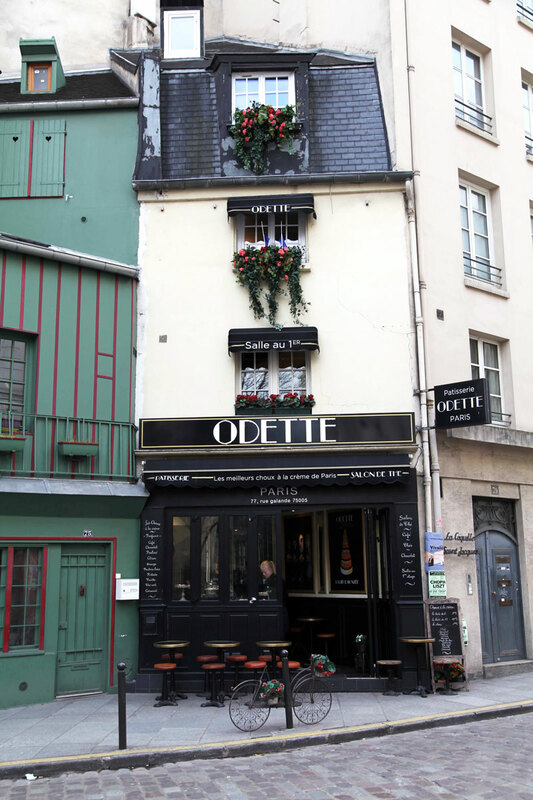 One such spot that we insta-discovered was Odette. 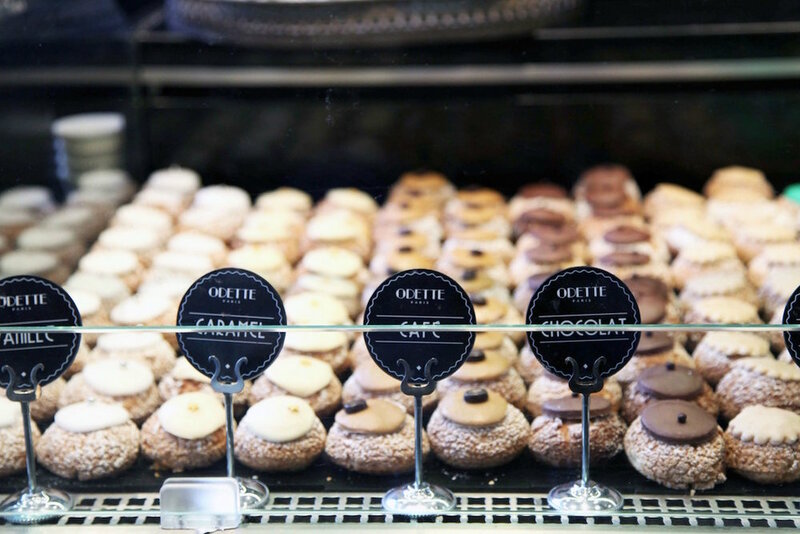 We set out on a day of exploring with the intention to reach this cute spot for a mid afternoon treat of choux à la crème (aka creme puffs), or, at the very least, get some good snaps. The cafe ended up being right across from Notre Dame on the opposite side of the Siene, just around the corner from the infamous Shakespeare bookstore (if you're facing the bookstore, it's down the alley to the left). 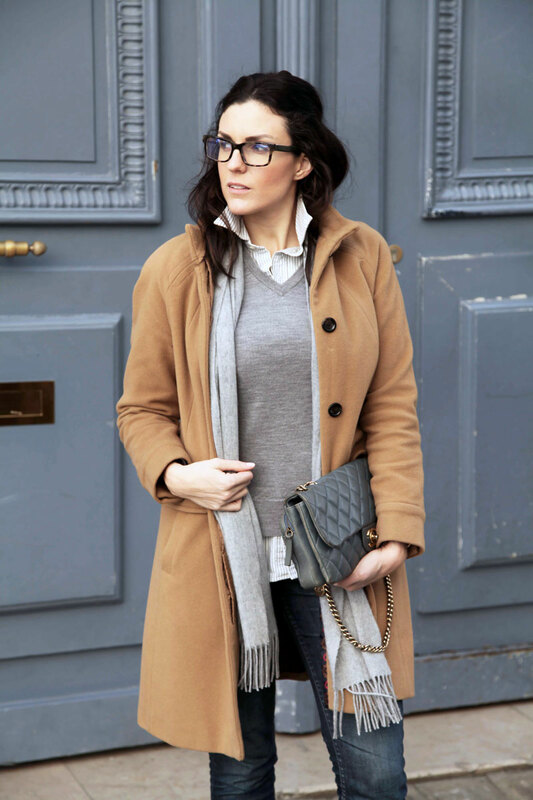 It also ended up being perfect for a little Parisian dress & dine action, my gray, blue and camel layers matching the surroundings in unplanned harmony. 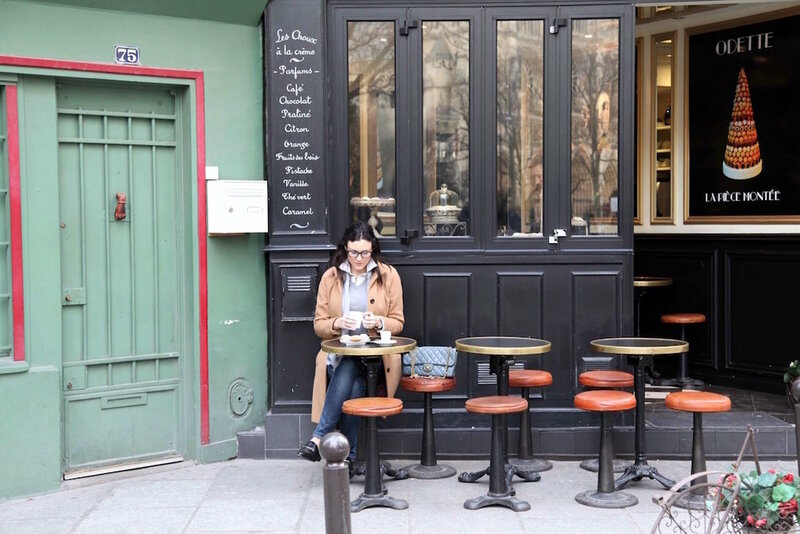 Funny enough, we were in this area on our last trip to Paris and I never saw this place, let alone the cute alley that it was down, further proving how invaluable it it is to use social media as a guide (cue "It's a Whole new World" as your scroll Instagram). 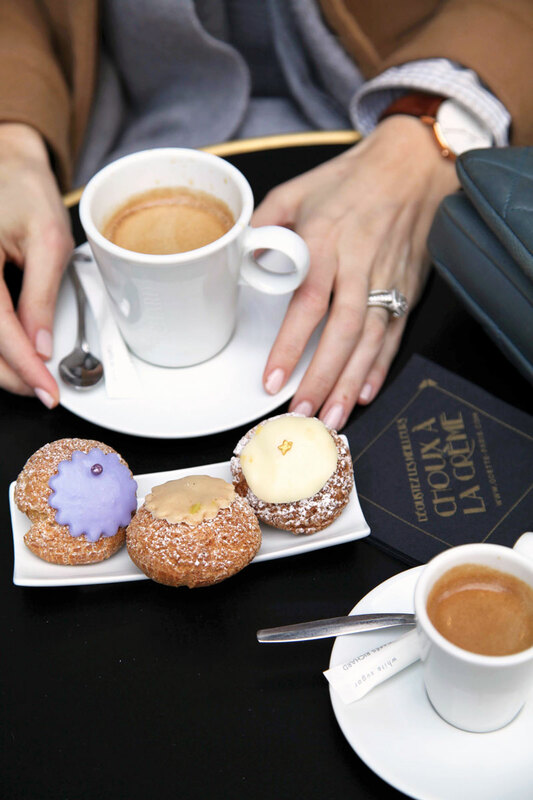 As far as the actual pastries were concerned, after much debate, we settled on fruit des brois, caramel and praline flavors, of which we loved every single one. And for the record, this spot wasn't just 'grammable. It was pretty tasty, too. 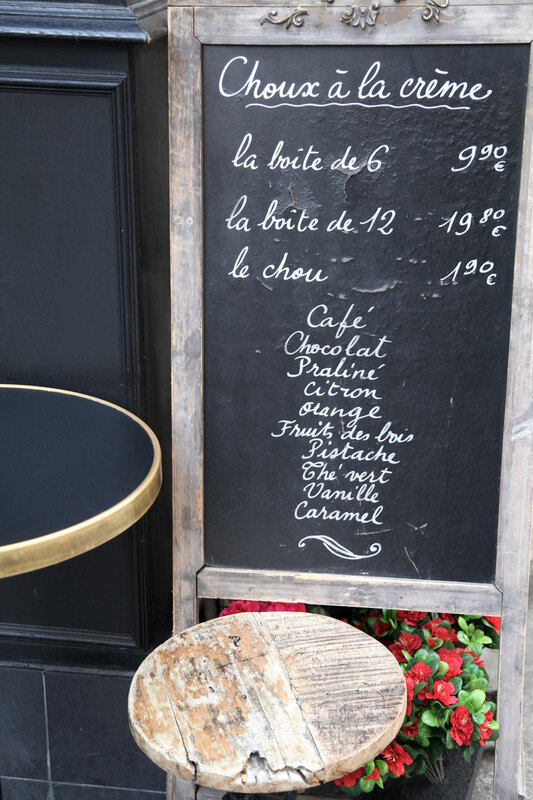 Pop by for pictures and pastries next time you're in Paris. You (and you're Instagram profile) won't regret it.